Is there a better alternative to YouRhythm? Is YouRhythm really the best app in Music category? 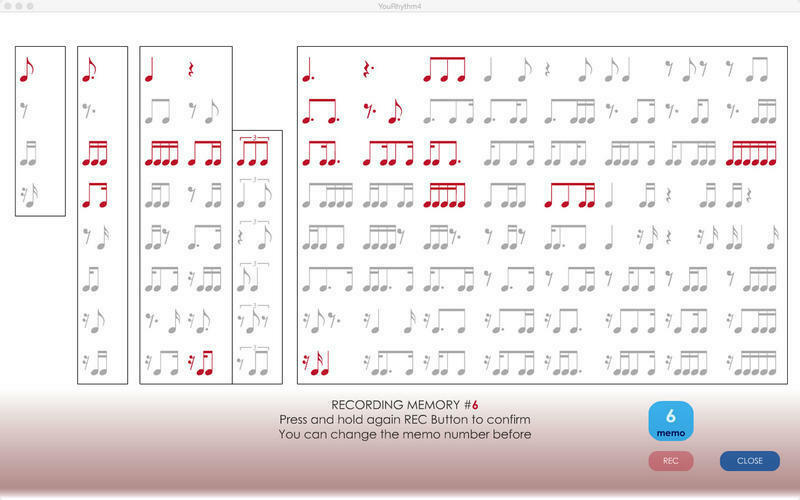 Will YouRhythm work good on macOS 10.13.4? 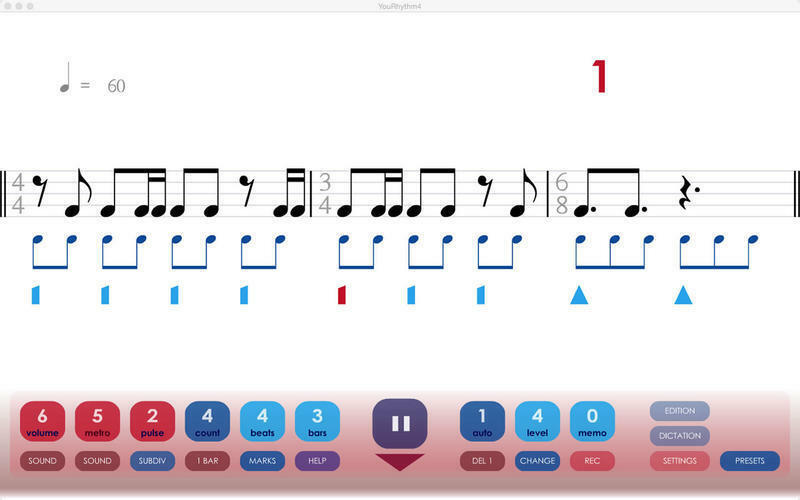 YouRhythmhelps you increase your abilitiy to read, understand, and share any rhythmic pattern. 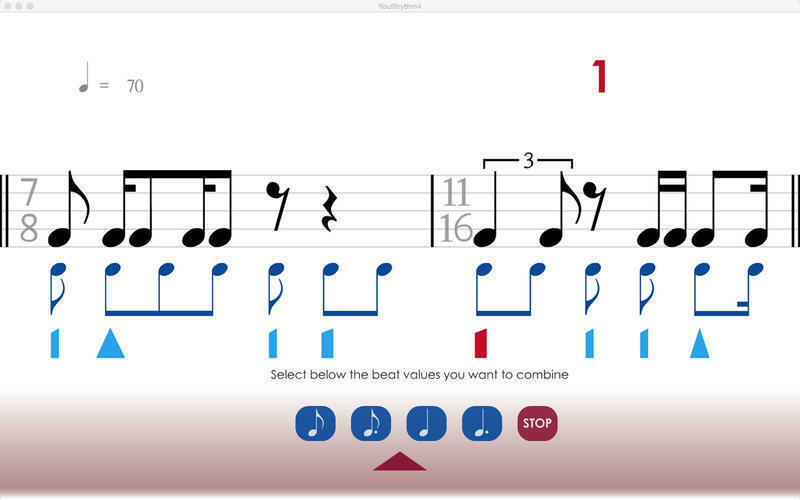 Rhythmic sight-reading from initiate to a high level of expertise. 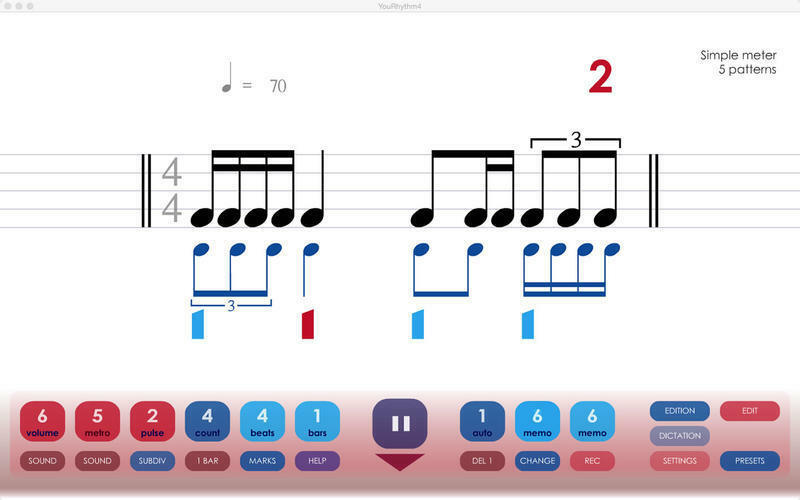 A unique, universal, and evolutive method for learning or training rhythm at your own pace. 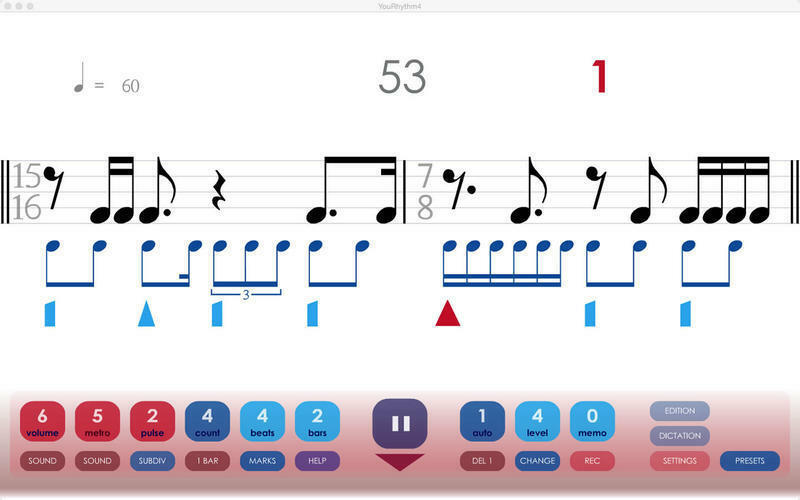 With 10 levels of difficulty and 4 beat values (quarter note, dotted quarter, eighth note, and dotted eighth), to tackle and combine 98 rhythmic figures possible in one beat : duple time, triplets, triple time, irregular meters. YouRhythm needs a review. Be the first to review this app and get the discussion started! YouRhythm needs a rating. Be the first to rate this app and get the discussion started!